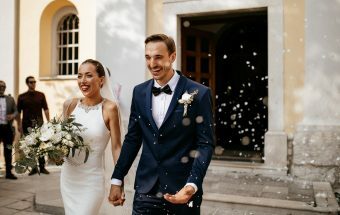 Elopement in Slovenia is becoming more and more popular and I’m not even surprised due to the fact, how many magnificent locations such as Grad Štanjel we have to offer! 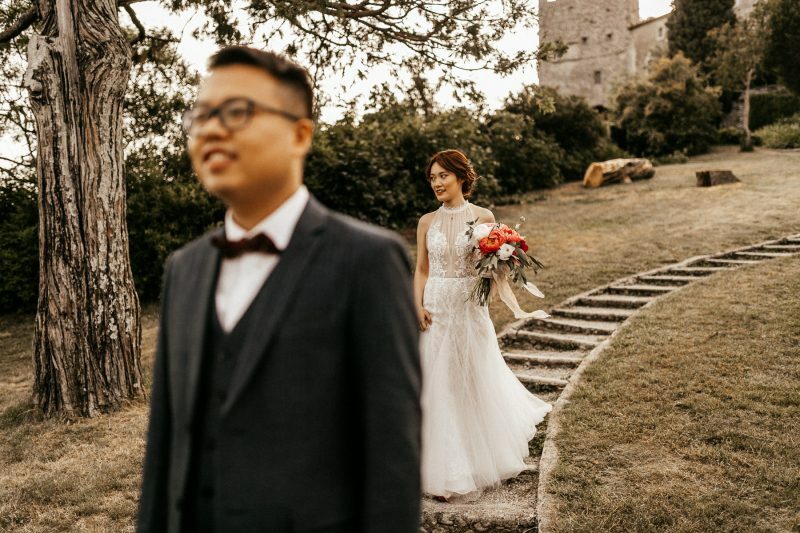 I’m glad these two lovebirds came all the way from China to elope at the charming scenery of the medieval castle Štanjel and its Ferrari garden in the heart of Kras, my favorite region in Slovenia. Karin (AK Weddings), my always favorite wedding planner made sure it was one of the most unforgettable days of their lives. I loved the whole vibrant color palette that they’ve chosen and the way she styled the whole venue! Getting ready at the castle was followed by the most emotional first look. I have to admit, as sweet as they were in combination with violin music background, caused some tears behind my camera as well! : ) After the ceremony and their vows in mandarin, we headed to wedding photo session and I couldn’t be happier with scenic sunset light that came out just perfectly. 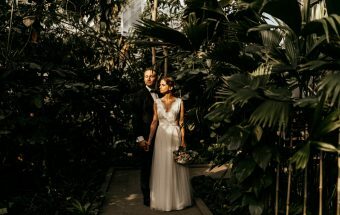 As a wedding photographer, you are so close to people, it’s inevitable to feel the energy they give off – and it makes me so happy and fulfilled! Thank you universe, from the bottom of my heart!